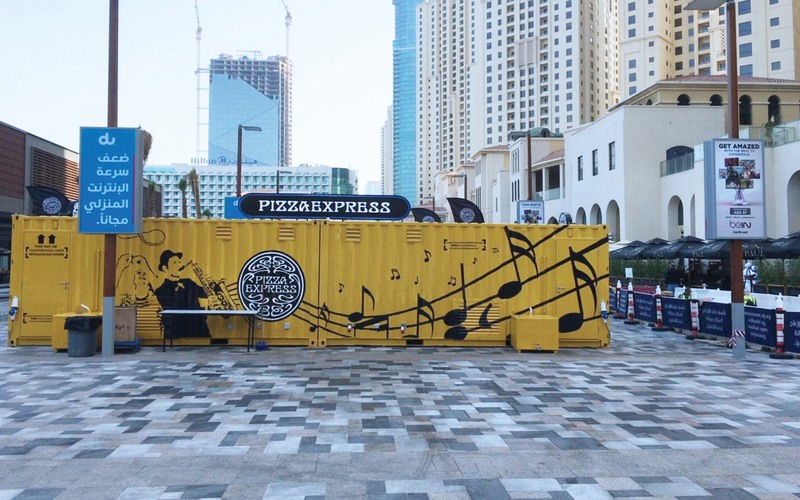 Pizza express Pizza Express came to us with an operation problem of having to cater at both big & small event sites simultaneously. 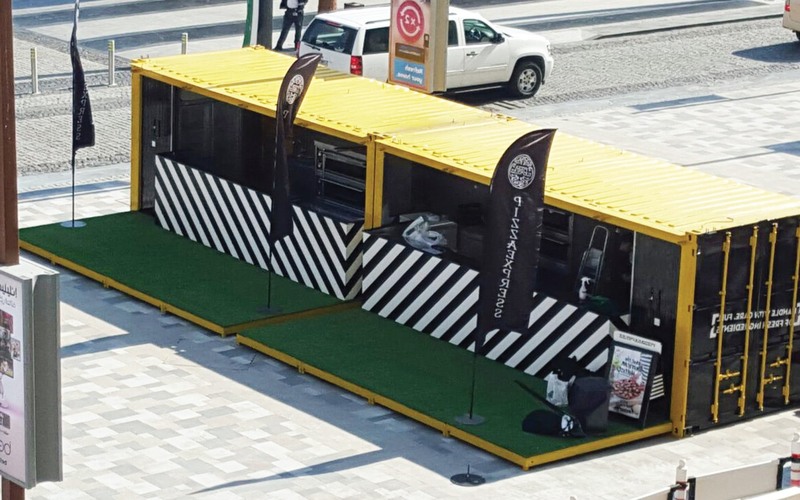 We offered them a solution: 20 feet container kitchens with foldable front decks. They function as a single huge kitchen unit for big event. Or can be split & sent to 2 different sites to work as independent units.